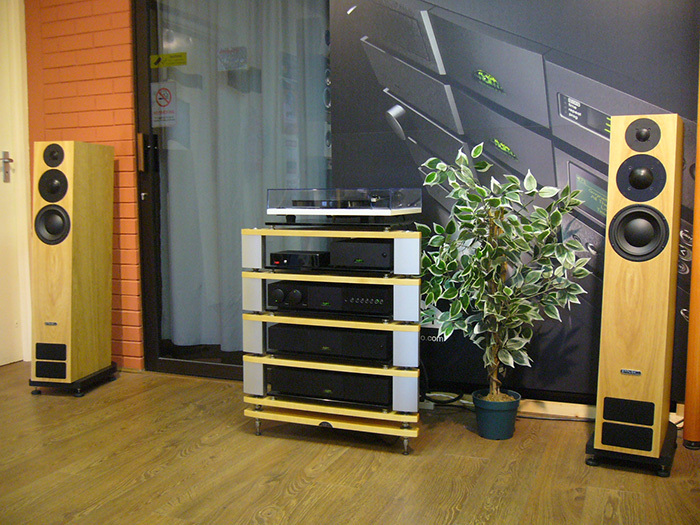 PMC's flagship Twenty series loudspeakers are now on demonstration. The Twenty 26's offer perfection to either stereo or multi-channel content playback. The Twenty 26's use a 3-way crossover design, a military spec circuit board is populated by high quality components, which routes critical frequencies to the relevant drive unit. Partner this with custom made tweeter, midrange and bass drivers, results in highly accurate treble, midrange & bass frequencies. However all of this hard work may of been for nothing without one of the most important ingredients to any loudspeaker, the cabinet. PMC opt to use an advanced transmission line system meaning not only is the cabinet very strong but helps create a flatter more consistent frequency response, unlike bass reflex port cabinets which can exaggerate certain frequencies whilst masking others. Everything just works together, the balance between musicality & accuracy is spot on! There's layers to pieces of music that I've never heard before and yet it's still fun and enjoyable to liste to. Film scenes that I thought I've known by heart but no, there's details that up until now I've never heard! These are truly amazing loudspeakers.